The Indigenous Investment Principles guide Indigenous nations to effectively manage their financial capital for the benefit of both current and future generations. Here, members of the Drafting Group explain the need for these Principles, as well as the Group’s hopes for how they will be applied. Launched by the Prime Minister Malcolm Turnbull in December 2015, the Indigenous Investment Principles (the ‘Principles’) are a community guide to thinking about the purpose, governance and investment of financial resources to enhance and protect community interests, particularly culture and heritage. In this article, members of the Principles’ Drafting Group explain the need for the Principles, reflect on the process of developing the Principles with the broader Working Group, and discuss their vision for future application of the Principles. Robynne Quiggin, Wiradjuri woman and member of the Drafting Group. 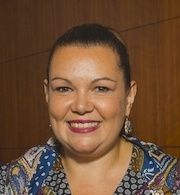 Robynne is Senior Advisor to the Australian Human Rights Commission and Deputy Chair, Bangarra Dance Theatre. Robynne Co-Chaired the Drafting Group with Bruce Martin, Director, APN Cape York. Nolan Hunter, Bardi Jawi man and member of the Drafting Group. Nolan is CEO of the Kimberley Land Council and Chair of the National Native Title Council. Gavin Brown, Wiradjuri man and member of the Drafting Group. 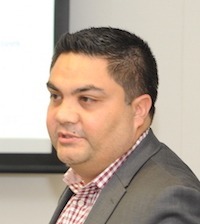 Gavin is Co-Founder of PwC Indigenous Consulting. 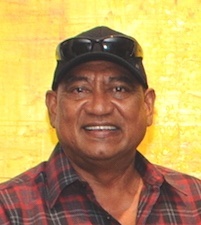 Glen Kelly, Wardandi Noongar man and member of the Drafting Group. Glen is CEO of the National Native Title Council, and formerly CEO, South West Aboriginal Land and Sea Council (SWALSC). Brad Scott, member of the Drafting Group. Brad is Managing Director of EWM Group. Nigel Renton, member of the Drafting Group. 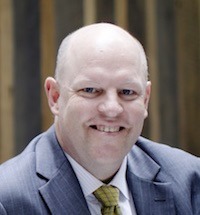 Nigel is Head of Credit Suisse Australia’s Institutional Endowment practice. Cristilee Houghton, Pitta Pitta woman and coordinator of secretariat support for the Principles. 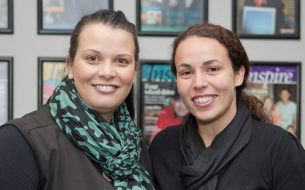 Cristilee is Senior Manager of Sustainability and Impact Solutions at Indigenous Business Australia (IBA). Many Indigenous nations have accrued substantial financial capital, the majority of which is held on trust. These funds have generally been derived from the operation of land rights and native title laws, which recognise pre-existing Indigenous ownership and custodianship of traditional lands and waters and related cultural practices. In spite of those funds, the struggle for Indigenous empowerment, underpinned by sustainable economic development, continues nation-wide. The prosperity of many Indigenous Australian nations is in large part contingent on the effective management or application of such funds, for the benefit of both current and future generations. In October 2013, Nigel Renton and David Murray, Senior Advisor at Credit Suisse, floated with IBA the idea of a set of Principles for Indigenous nations, based on the ‘Santiago Principles’ – the Generally Accepted Principles and Practices for state-owned sovereign wealth funds. The Principles recognise our cultural heritage and our natural assets as an endowment in a different context to the Native Title Act. As inaugural Chair of the Australian Future Fund Board of Guardians, Murray had chaired the Santiago Principles’ Drafting Group. 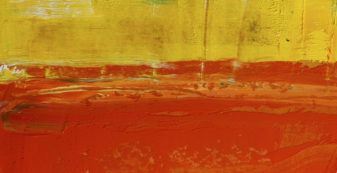 He identified parallels between nation-states’ sovereign wealth funds and those funds derived from native title and other land use agreements for the benefit of Indigenous Australian nations. In each case, tension arises between the desire for intergenerational wealth creation and shorter-term investment in much needed social and economic infrastructure. Critically, that tension can only be resolved and managed through consultation with the owners of underlying assets regarding their aspirations and expectations, and identification of a clear purpose and mandate, which is tied back to the cultural heritage and social and economic circumstances of that nation. Brendan: Why were the Santiago Principles relevant or applicable in the Indigenous Australian context? Glen: Because we see ourselves as nations. The South West Native Title Settlement is a good example. We see that as our sovereign wealth fund. Trusts that arise out of mining agreements aren’t quite the same, but they’re very similar. They arise from the conversion of an interest in people’s country. People see those trusts as the fund for their nation. Brendan: What was the Drafting Group aiming to achieve with the Principles? Nolan: Well, despite years of progress in Australia, whether on social policies or the engagement of Indigenous people in various aspects of the economy, fundamentally we are still struggling to improve our economic circumstances. The Principles recognise our cultural heritage and our natural assets as an endowment in a different context to the Native Title Act. We view these assets as a legacy that can benefit future generations in their drive towards independence and self-determination. The Principles are intended to help us achieve those goals. Glen: There is still remarkable resistance to this idea of Indigenous self-determination. On one hand, we get this line fed to us that, ‘we want your native title to give rise to economic activity.’ On the other hand, there seems to be an attitude that whenever a blackfella does business or partners up with someone, they’re getting ripped off, or they’re a shyster, or they’re trying to control everything. So we wanted to lay down a set of Principles, in accordance with which we can do our own business, so that it’s done well, it’s grown out of our country and it is effective. Perhaps that will help to break down some of that resistance. … the real opportunity that these Principles present is to help us understand how we can optimise the potential for returns and the creation of wealth for Indigenous people in perpetuity. Brendan: Nolan, you were involved in the process from the beginning. Could you explain some of the challenges identified at the outset as being common for First Australian communities when it comes to the management of investable funds? Nolan: Under the native title process, trusts were set up through land use agreements that – because of their charitable or not-for-profit status – were not really commercial. People had agreements which provided for the investment of, let’s say, 50% of their funds, but for the most part those investments were passive. The communities’ low expectations around returns coupled with trustees’ investment fees meant that many people were not realising any benefit in real terms from those agreements. If we go back to basics, there weren’t enough Indigenous people who possessed the requisite knowledge to effectively manage financial investments. I think the real opportunity that these Principles present is to help us understand how we can optimise the potential for returns and the creation of wealth for Indigenous people in perpetuity. The Principles are valuable because they offer these communities a roadmap to help them see what’s going on and navigate some of the more important considerations. Brendan: Gavin, you joined Nolan at the initial meeting in late 2013, at which Indigenous leaders shared their experiences. What do you remember of the conversation? 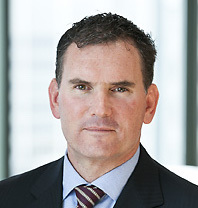 Gavin Brown, Co-Founder of PwC Indigenous Consulting. Gavin: I recall it being a very open discussion about the issues and about people not being heard. There was a massive disconnect between community aspirations and the financial markets. People working in the finance sector were not meeting the needs and expectations of community; in the services that they provided, the way that they spoke and how they exercised their duties. In our work, we found a lot of groups that were five or ten years away from a mine closing and they weren’t adequately prepared and they were scared. People feel that they have a 20 to 25-year window and need to make the most of it. But it can be difficult for some communities, because investments are confusing and the finance sector uses a lot of terminology that people don’t understand. Separately, communities have a lot of competing interests. They would see money come in and their leaders, who hadn’t been exposed to this sort of stuff before, had to navigate between social programs, funeral funds, community-owned social and commercial enterprises and long term endowments. And they weren’t armed with the right information to make good decisions. We’re talking about the empowerment of Indigenous people, to create longevity and sustainability of outcomes. …we have to tie the investment strategy and policy back to a clear purpose, which articulates why it actually exists. Brendan: Brad, in your work with EWM Group, you’ve helped a number of Indigenous groups put structures in place to better manage their funds. What challenges were you seeing? Brad Scott, Managing Director of EWM Group. Brad: One of the real challenges historically, was that, when people were looking at an investment strategy, straight away they’d start looking at asset allocation, and look for opportunities from there. They weren’t considering how that strategy ties back to the needs of the community; to the people and their history, heritage and culture. That’s what I found so critical in this process. Yes, we need to put an investment strategy together and yes, we need mandates and governance and systems and policies in place to suit the owners of the underlying asset, but we have to tie the investment strategy and policy back to a clear purpose, which articulates why it actually exists. Brendan: As these Principles were being developed, Glen, you were CEO of the South West Aboriginal Land and Sea Council (SWALSC). So, you were in the process of negotiating the South West Native Title Settlement with the Western Australian Government on behalf of the Noongar people. Why did you see the Principles as being important? Glen: When we first started rolling out native title agreements, we were good at lawyering, community engagement, and navigating the courts and the Native Title Act. But we didn’t necessarily have any knowledge in relation to managing investments. Money was coming in through native title and land use agreements which we needed to put into charitable trusts, because that is the mechanism preferred by mining companies for tax purposes. It wasn’t until a few years down the track that we started to understand how the system operates and began to see the flaws in that system. Then we realised just how much we need something like these Principles. … they don’t listen to community. They don’t really understand the priorities of community and the relationships that sour when those aspirations aren’t met. Brendan: You mention flaws in the system, or issues with the way in which trustees have historically engaged with Indigenous communities. What are you specifically referring to? Glen: First of all, they charge a lot. They clip both ends of the ticket, charging for trustee services and for investment services, and we don’t see a lot of value in return. A lot of their investment services is cookie cutter stuff; they’ve got their funds and shares and in it goes. But the money doesn’t really go to work like a super fund would. They are conflicted. Being appointed trustee ought to preclude them from acting as investment manager. Finally, they don’t listen to community. They don’t really understand the priorities of community and the relationships that sour when those aspirations aren’t met. The Principles explicitly address these issues, which is great. In December 2013, IBA facilitated a meeting of eight representatives of Indigenous organisations from across the country, dubbed ‘Pathways to Prosperity’ and hosted by Credit Suisse, to discuss the need for the Principles. Attendees agreed on the need to engage a broader group of Indigenous organisations and further explore the opportunity to develop a set of Principles. In June 2014, IBA brought together over 40 representatives from 22 Indigenous organisations at the Growing with Governance Forum. At this forum, a Working Group was established to develop a set of Principles and Drafting Group members were appointed to progress the technical drafting. With IBA’s on-going support, the Drafting Group convened on eight separate occasions and the Working Group convened twice, prior to finalising the form of the Principles at a meeting in Darwin in June 2015. … the development of the Principles… maintained a focus on the Indigenous owners of the land, water, and associated financial assets. the Principles would be subscriptive, rather than prescriptive. Why were these values so important? 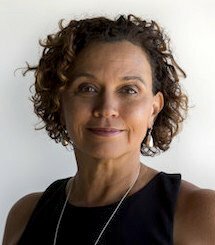 Robynne Quiggin, Co-Chair of the Drafting Group is Senior Advisor to the Australian Human Rights Commission and Deputy Chair, Bangarra Dance Theatre. Robynne: There has been a long history in this country of governments heavily regulating Indigenous people. That stems from a lack of trust in – and disrespect for – our processes and a failure to extend to us the right to make our own decisions about matters that impact upon us. It has resulted in a lot of imposed ‘solutions’ over many years. One of the things that I loved about the development of the Principles is that it maintained a focus on the Indigenous owners of the land, water, and associated financial assets. The Principles recognise that the underlying asset – the source of the funds – is the Indigenous interest in land, water and culture which have been transferred over generations. That land, water and culture is now the potential source of intergenerational wealth and new opportunities. 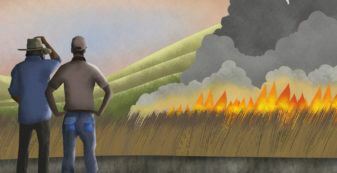 At the heart of the Principles is a recognition that the proper decision-makers in relation to land, water, culture and associated financial assets are the Indigenous owners and custodians. The Principles also recognise that the assets arise from the devastating processes of colonisation, and hard fought battles for recognition of rights to land, sea, water and the expression and practice of culture. The development of the Principles brought together a group of both Indigenous and non-Indigenous people with diverse expertise. There was real value in bringing these different skills together, from David Murray’s international and domestic financial experience, to the breadth of knowledge, experience and skills of the Drafting Group and Working Group members. All of the Indigenous people around the table have experience in developing protocols and guidelines – in framing ideas in that way. And that mix provided an opportunity for all of us to learn throughout the process. We had a very constructive dialogue, even when we didn’t necessarily see things the same way. Gavin: We presented our ideas to the various groups along the way and we said, ‘this is what we’ve come up with, does this work for you or does it not?’ In that sense, the process was truly community led. … we determined that the language should be appropriate for the global investment community, deliberately technical and representative of world’s best practice. Brendan: Nigel, you brought expert investment advisory skills to the Drafting Group. How difficult was it to manage the tension between accessibility and complexity? That is, ensuring that the Principles were accessible to those who might use them, whilst also providing appropriate guidance in relation to complex concepts associated with funds management. Nigel: Within the Drafting Group, we debated at length the need for accessible language in the investment and risk management framework section. Ultimately we determined that the language should be appropriate for the global investment community, deliberately technical and representative of world’s best practice. We supported the section with explanatory notes and a glossary to aid readers who are less familiar with investment language. The principles rely on a range of highly reputable sources, such as: the Santiago Principles, academics such as Gordon Clark and Roger Urwin, the Australian Future Fund, and Credit Suisse. We also agreed to consider the need for a subsequent publication during the implementation phase, which would be designed for communities not familiar with investment language or for whom English is not their first language. Robynne: And we shouldn’t forget how important IBA’s secretarial support was in the development process. They saw the value in a collaborative process and placed a lot of trust in us. … I’ve been involved in a process that has been Indigenous led. It really has been led by the groups. Brendan: Cristilee, you coordinated IBA’s secretariat support. What are your reflections on the process? Cristilee: It’s been interesting to watch it progress and see what we’ve achieved after two years. As an Indigenous woman working at IBA, it’s nice to be able to say that I’ve been involved in a process that has been Indigenous led. It really has been led by the groups. That’s why it has been stop-start at times because we [IBA] haven’t wanted to intervene. Occasionally we drove the conversation, but for the most part we left it to the Drafting and Working Groups to tell us what they thought was needed. And I think that has made it a great consultation process. Robynne: It’s rare that a process isn’t driven by annual reporting, or a board’s desire to see something finished. IBA recognised that there was value in this process being Indigenous led and agreed not to push forward until we had everyone we needed on board. Cristilee: The interesting part now is in considering how we build on the Principles, engaging with more and more groups on the ground and giving them an opportunity to voluntarily put the Principles into practice. Brendan: Now that the Principles have been published and launched by the Prime Minister, what next? Cristilee Houghton, Senior Manager of Sustainability and Impact Solutions at IBA. Cristilee: It’s a crucial stage we’re at now. There are certain expectations of where we’re going to take this now. That presents a big task for us in the next 12 months, to see how far we can progress this on the ground. The Drafting Group has now evolved into a ‘Strategy and Implementation’ Group. 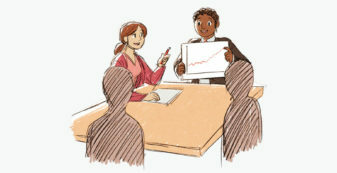 Members volunteer their experience and/or review existing arrangements in light of the Principles. We will be running ‘bootcamps’ with members of the Strategy and Implementation Group to assist groups and individuals who sign up to the Principles. The bootcamp will be a practical workshop to implement the Principles and will initially target signatories of the Principles and then affiliates, the non-Indigenous organisations that support the Principles. Nolan: People are aware of the Principles, but I don’t think they fully grasp the opportunities that might flow from their adoption. The challenge for us is to help people understand what the Principles offer. The difficulty is that everyone is in different places doing their own thing. We need to consider how best to communicate the opportunities presented by these Principles, to spread the word and get people to come on board. … if trustee groups can’t conform to these Principles, then they won’t be competitive; they will lose work to more progressive trustee groups. Glen: I’ve been spruiking the Principles in my local network. Some of the trustee groups are a bit more progressive and comfortable with these concepts. They’ve been gravitating towards working in this way. Other trustee groups haven’t said anything. Which means that they’re still processing it and trying to get a handle on what it means for them. Thinking about the SWALSC experience, we put in place a trustee selection panel, which was independent of all of us who worked there. The panel needs to measure any prospective trustee against the Principles to make sure that they will deliver a good outcome for our people. I expect that in time, if trustee groups can’t conform to these Principles, then they won’t be competitive; they will lose work to more progressive trustee groups. And hopefully new trustees will emerge who are far more attractive to the blackfella sector. Brendan: What you’ve articulated there speaks to a future vision where anyone in the funds management sector who wants to engage with Indigenous communities or organisations must be prepared to sign up to or comply with these Principles. Is that what you have in mind? Glen: Exactly. Because if they don’t, then we’re going to create our own trustee groups and they’re not going to have any of our business. So goodbye! Brad: One of the keys to the Principles is the concept of educating people and empowering them to use and apply the Principles themselves. That language is baked into the Principles throughout. Our implementation plan has to provide for education so that people can apply the Principles to their own circumstances and use them for the benefit of their own communities. If we achieve that then we’ll have gone a long way towards successful implementation. Glen: One of the things that’s excited me most about the process of developing these Principles is the progress that we’ve already made on that front. This is our first foray into the finance industry. By involving so many organisations in the development of these Principles, we’ve now got a body of knowledge right across the county. There’s a whole lot of Indigenous people who can sit down and talk in very informed terms and actually nut this stuff out. That’s a brilliant indicator that things have already moved forward at a great rate. Robynne: I love the fact that we’ve done the thinking first rather than going to the finance sector and saying, ‘what can you do for us?’ We’ve done this ourselves. Glen: Don’t underestimate the significance of that. The Principles represent a great achievement for Indigenous people. SVA Consulting was engaged by Indigenous Business Australia to support the Drafting Group, the Working Group and the Secretariat in their development of the Indigenous Investment Principles. The Santiago Principles are a set of 24 voluntary guidelines that assign ‘best practices’ for the operations of state-owned investment funds known as sovereign wealth funds. The Indigenous Investment Principles are a guide for Indigenous nations to think about the purpose, governance and investment of financial resources to best protect community interests. The intention is also that the Principles will encourage better practice in the funds management space. Members of the Drafting Group articulate the need for the Principles, and reflect on the process of their development and opportunities for their application.